Spring in Slovenia; cycling, flowers, chocolate and more! What struck me initially on watching it is that it was still daylight, whereas last year when I attended on the same day and date -11th March 2014 – it was already dark. 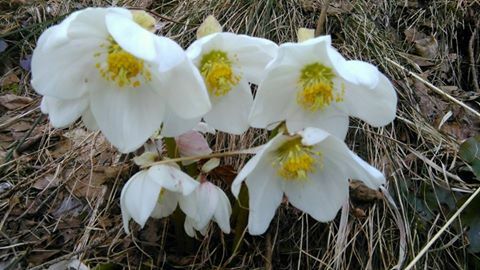 This year spring seems to have come early, and with it, longer and warmer days, and the forests are now carpeted with beautiful spring flowers. Ok, I know its a bit early to be celebrating spring ‘proper’, after all it could, and probably will, still snow. However, after last year’s washout of a spring and summer, this dry, mild(ish) period is much appreciated. 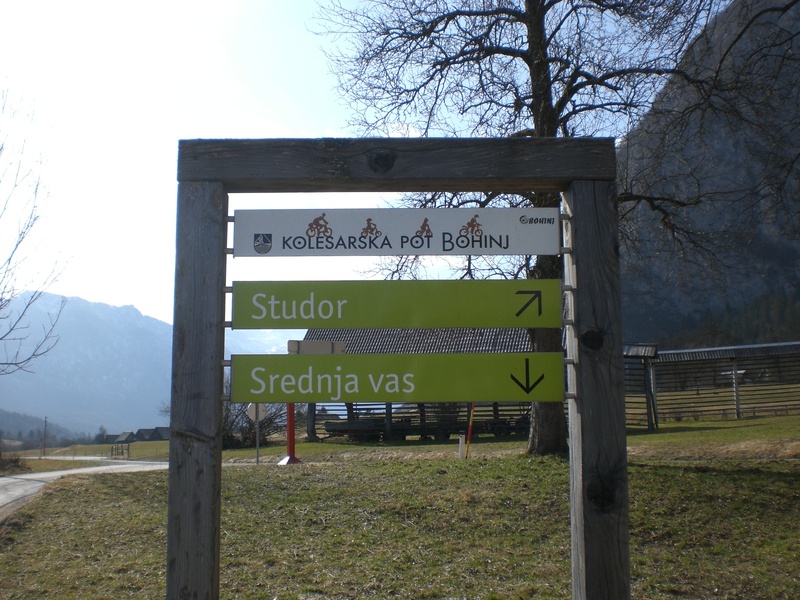 Another such flat(ish) and easy(ish), as well as being particularly scenic and traffic-free, cycle path is that from Bohinjska Bistrica to Bohinj Lake then onwards towards the villages of Stara Fužina, Studor and Srednja vas. 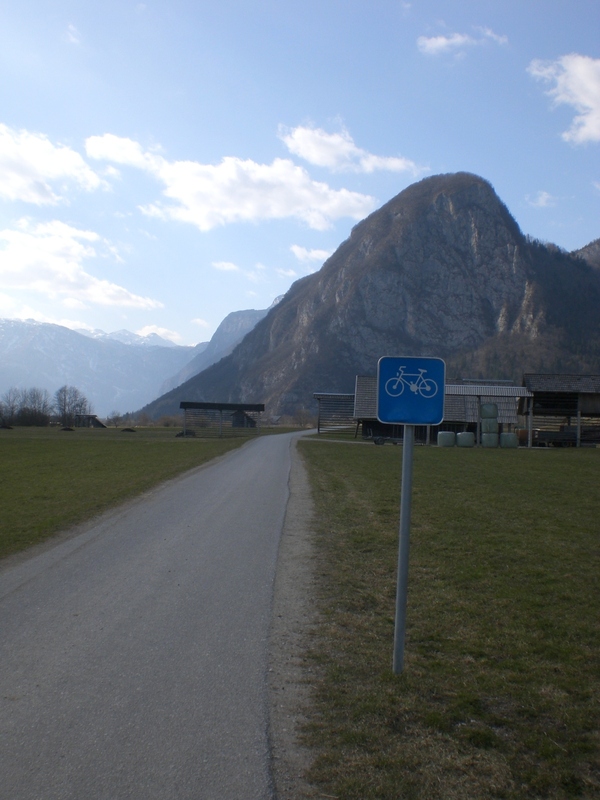 The cycle path is well-marked and the views of the Julian Alps and the surrounding villages and lake certainly take your mind off the couple of short, but very steep, inclines. This section, seen below, leads from Srednja vas towards Studor. with the imposing Baroque St. Martin’s church on a small hill directly above the village. 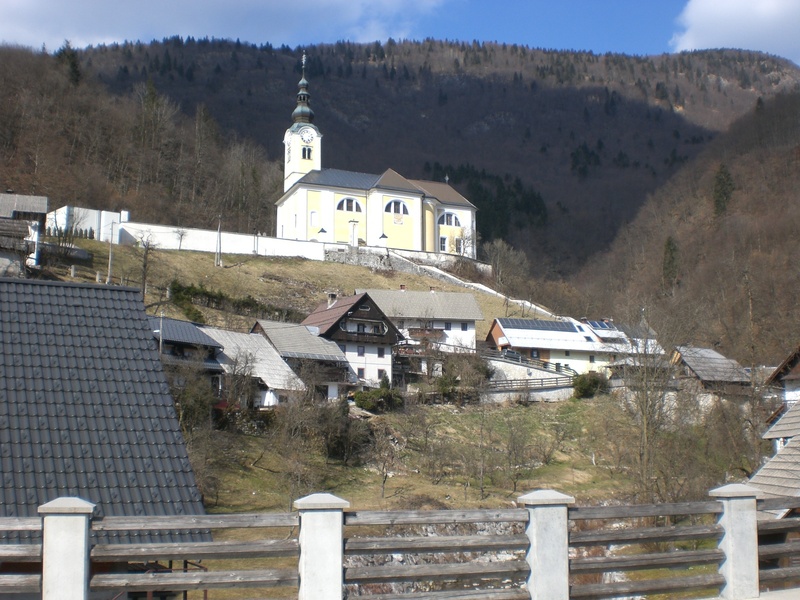 It’s worth making the short detour to see the church, which contains paintings by well-known Slovene artists, and also nearby is the Ribnica waterfall and the Bohinj Cheese Dairy (Bohinjska sirarna) where one can stop off to buy locally produced cheese (open weekdays 7am – 2pm). Vidim., da ste se potepali po Bohinju.Škoda , da se nisva dogovorili prej, če se spomnite sem vas enkrat povabila v Bohinj, da vam predstavimo naš družinski hotel in vas pocrkljamo z kako dobro ayurvedsko masažo.M orali bi tudi pokusiti našo domačo čokolado. Beautiful photo of the white wild flowers. Do you know what they are?